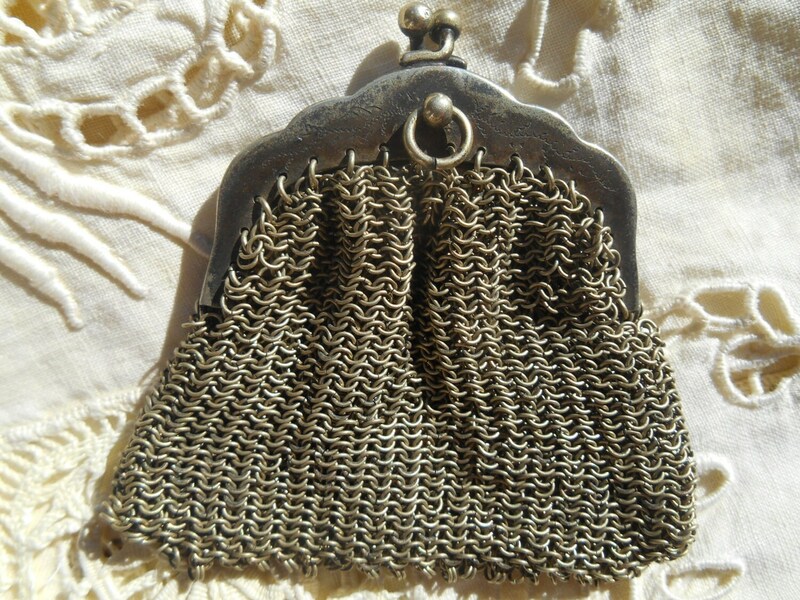 French Catelaine Change purse. 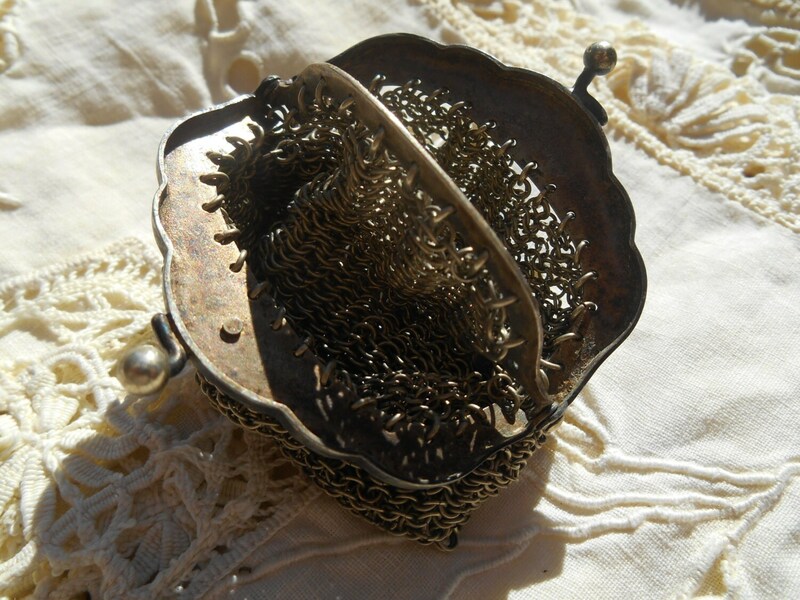 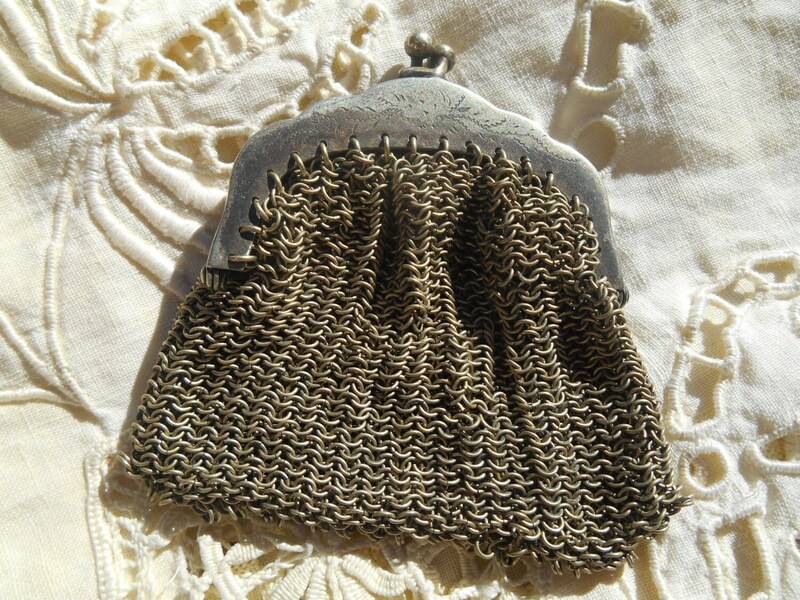 Silver mesh coin purse. 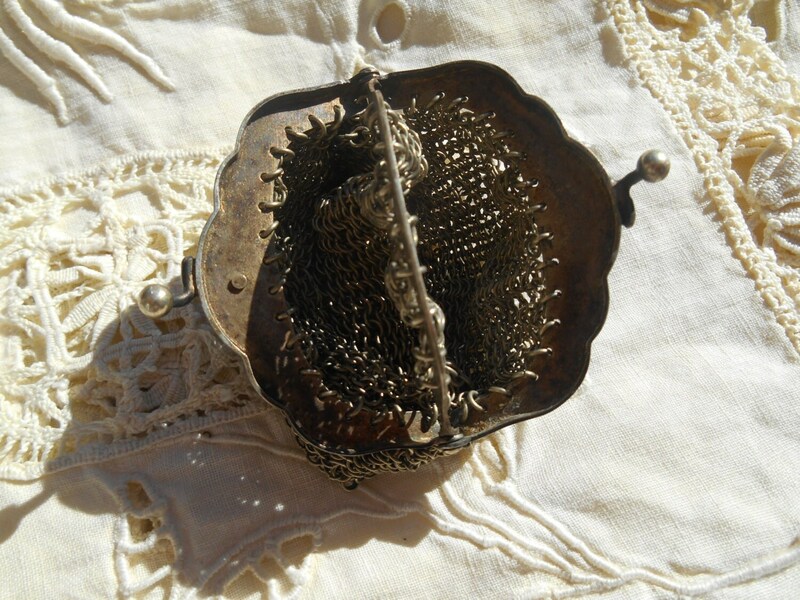 Vintage condition with a few loose mesh and runs. 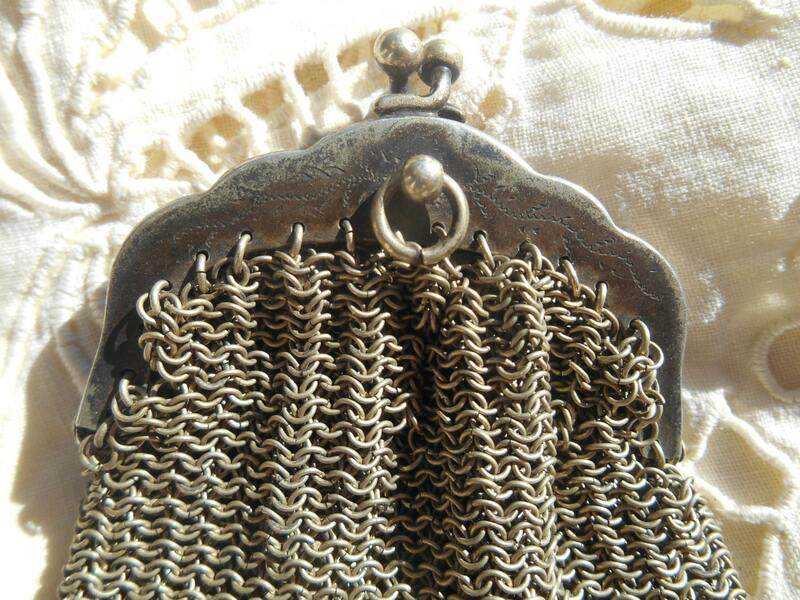 Lovely and very French antique change purse.